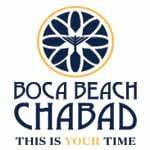 Gala Dinner Pictures Chanukah at Boca Raton Resort Chanukah Concert Purim 5773 A Time to Celebrate Concert Machon Menachem Graduation 5773-2013 On the Rebbe's Road. Literally. Women's Circle - New Year, New You Business Network Luncheon Sukkot Party 5774 Yeshiva Night Music, Mitzvahs and Martinis My Big Chaver Lecture with Rabbi Laibl Wolf Chanukah 5774 RCS - a Reason to Celebrate - Shevat Lag Ba'Omer 5774 West Coast Trip United for Israel Jewish Women's Circle "New Year New You"
On the Rebbe's Road. Literally. Jewish Women's Circle "New Year New You"